Happy Friday! We survived another week. After reflecting on the idea of "a new thing," I knew I'd talk to them about how Black History Month is an opportunity reflect on the past in order to shape the future. I only had one other challenge: How was I to present my keynote address to a room of non-Black children (Seriously, in a room of about 150, I could count the number of Black students on my hands.) and make it meaningful and relevant to them. My husband helped me along the way, making suggestions and helping me to pull back a bit when I got a little "Fight the Power!" So what you are about to read (and see - I used a few slides) is my attempt to give a 21st century Black History Month speech to a diverse room of non-Black students. Enjoy! Happy Black History Month! Until next time . . . I'll be over here jamming to an oldie but goodie, Black Butterfly by Deniece Williams. Maybe the history of Africans coming to America via the system of slavery? Perhaps the Civil Rights Movement? 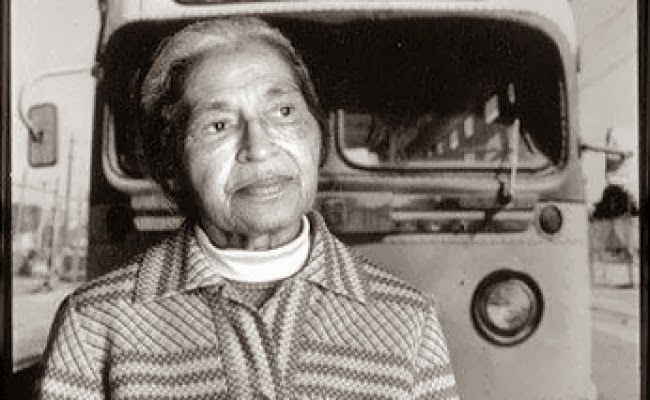 And of course, if you think about the Civil Rights Movement, you think about leaders such as Martin Luther King, Jr.
Or Rosa Parks who by making the decision to not give up her bus seat sparked the Montgomery Bus Boycott and brought change to the segregated south. 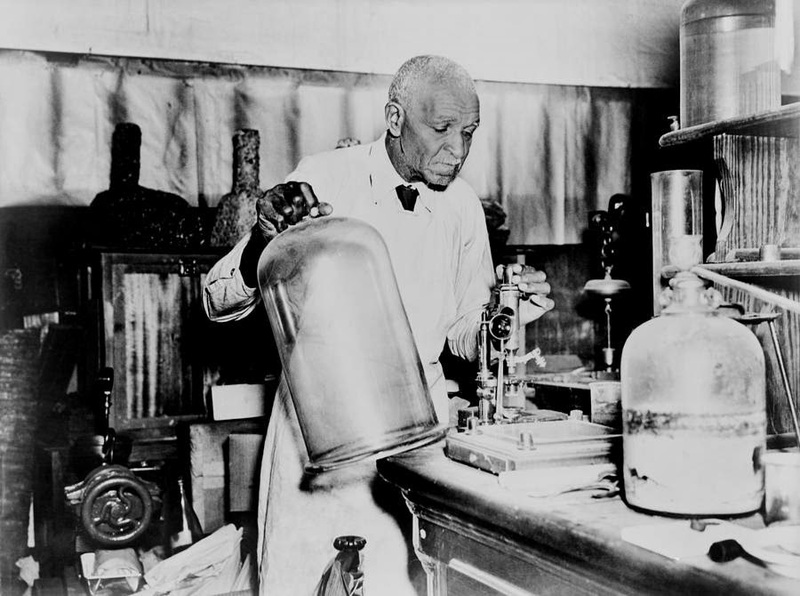 George Washington Carver, a scientist whose study of the peanut led to numerous useful inventions. These contributions to our great nation are deserving of celebration, but today I'd like to challenge us all not just to use Black History Month as a time to honor those who have come before us. I want to challenge us to use this month as a time to reflect and celebrate the possibility of you and your future. 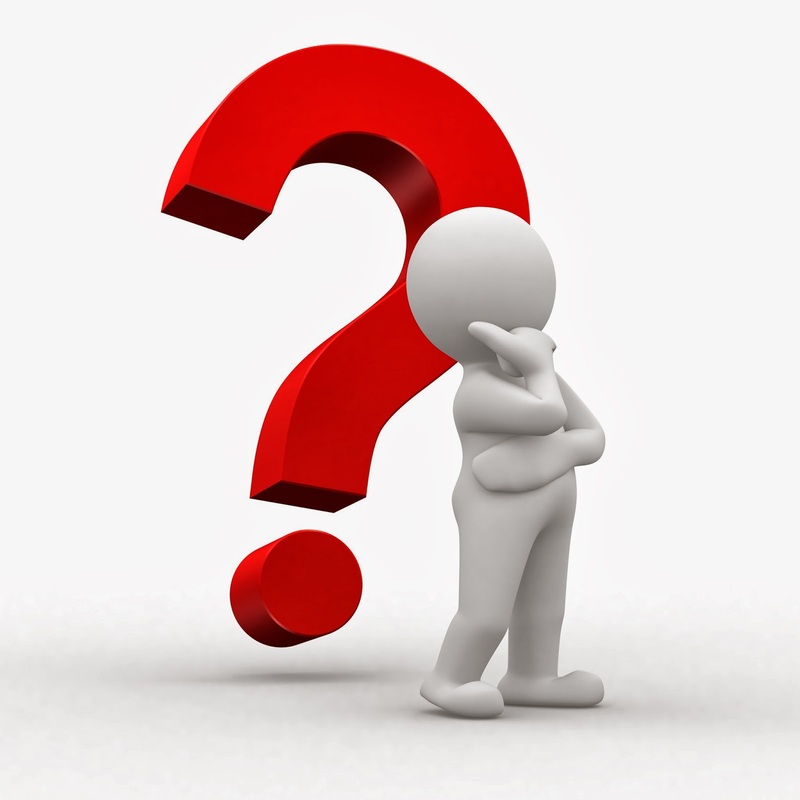 Before I get into my talk, I’d like to start with a question that I've heard almost every time Black History Month is mentioned - “Why is it important to celebrate BHM? I’m sure it is floating through the minds of some of you in this room. While understanding history helps us to move forward and make a better future, there are other reasons to celebrate Black History Month that go beyond reciting facts, writing book reports, and remembering important dates. First, Black Americans have a unique history and relationship with the United States. The way that Black people came to America is different from any other immigrant group (Sidenote: This is one of those places where my husband pulled me back. This is a much simpler and "pleasant" version than what I had originally written). Black history is an American story of resilience, a story about overcoming obstacles and succeeding. Out of an ugly history of slavery, Black people have exceled and made incredible contributions in the arts, medicine, government, and so many other arenas. 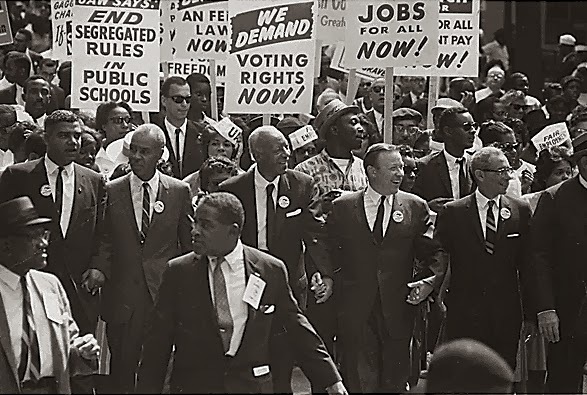 African Americans provided a blueprint for other groups to fight for Civil Rights; the strategies of African-American peaceful resistance, such as marching, boycotting, and staging sitting-ins are still present in many modern day Civil Rights movements. Further, the story of African Americans is not just about resiliency, but it is also a story of alliances and solidarity across racial and ethnic lines. 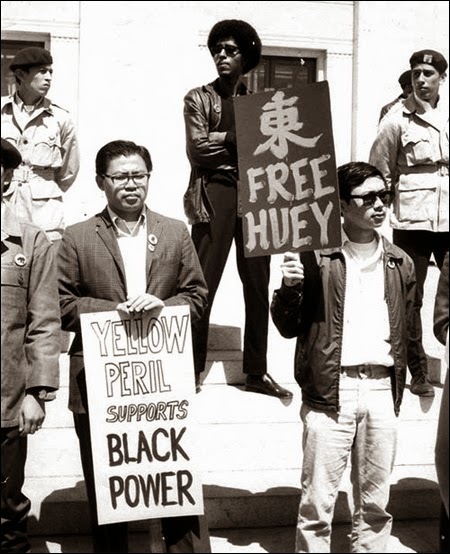 Black and Asian Americans have a very special relationship that was forged over Civil Rights. In February of 1942, internationally acclaimed African-American scholar and entertainer Paul Robeson appeared before the California Legislative Committee on Defense Migration as part of a panel of non-Asians, who testified to the loyalty of Japanese Americans in an attempt to avert their eventual imprisonment in internment camps during World War II. Black and Latino Americans also share a special bond. 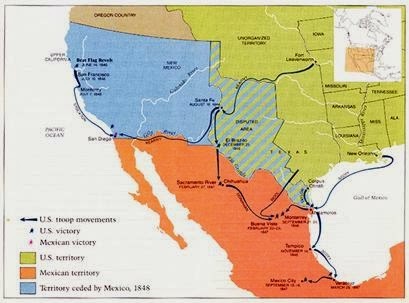 During the 19th Century, one of the driving reasons for the Mexican War was the refusal of Mexico to return Black people, well over 10,000 who had escaped slavery via the southern-route of the "underground railroad," crossing the border to a free Mexico (point out the map). Map of the Underground Railroad that included paths to freedom in Mexico. During the 1960s & 70s Latino students use the strategies similar to those of the Black Civil Rights movements to build their own movement for educational equity and to push for universities in the South and Southwest to offer courses in Mexican and Mexican-American Studies. 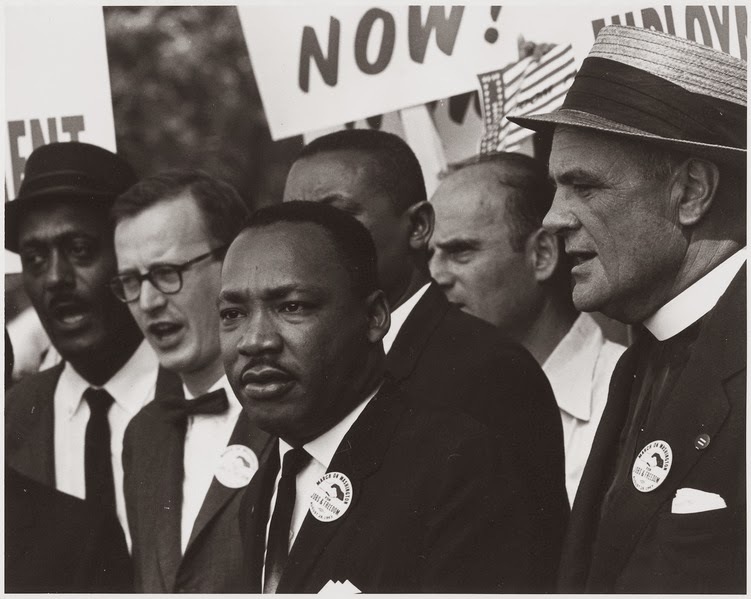 The History of Black and White Americans is one that has been fueled with tension, but there is also a long history of collaboration and solidarity. White abolitionists worked alongside African Americans toward ending slavery and helping those who were enslaved escape to freedom. 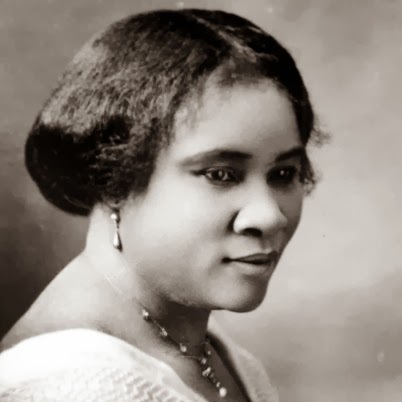 Post-slavery, African Americans began setting up informal schools to educate their young. Many White Americans worked with them to create schools and colleges that were dedicated to improving the conditions of African Americans, many of which still stand today, like Howard University in Washington, DC. 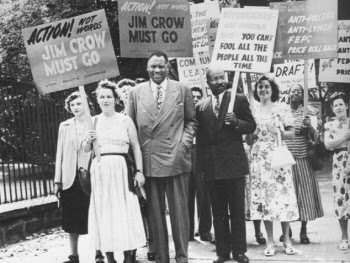 During the Civil Rights Movement, many White Americans worked to support African Americans as they sought equal rights. There are numerous stories of White freedom riders who made trips from the North and lost their lives supporting the Civil Rights movement. Given these special bonds among racial and ethnic communities, it is evident that Black History Month is not just to be celebrated by Black people. Black history is American history. It is a legacy that belongs to EVERY American. We are a culture that is multiethnic, multilingual, & multiracial. We differ by gender and sexual orientation. While, at the core, we know that we are all human and that we all want and need the same things, to ignore the beauty of our differences would be inexcusable. To ignore the unique flair and flavor that different cultures have contributed to our diverse nation would be detrimental to what makes us American. So maybe the way that we celebrate Black History Month needs a bit of a shift. It seems like we’re always reflecting on things that happened “back then.” But what about RIGHT NOW? You all are our RIGHT NOW. 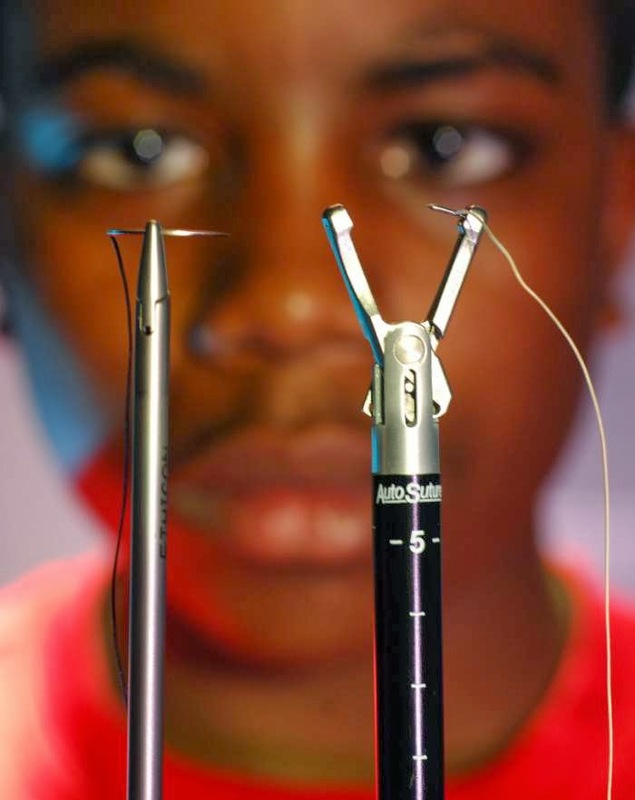 There are young African Americans making incredible contributions to society. Often, young Black people are characterized by negative stereotypes, labeled with words in the mainstream like “ghetto” or “ratchet.” These terms are overused, and the actions of few are often used to stereotype many. There are numerous young Black people making strides for a better future. Many of them are from or serve communities that we often characterize with these thoughtless “ghetto” and “ratchet” labels. I’d like to share a few young people, all under the age of 30, who are defying stereotypes and making our world a better place. 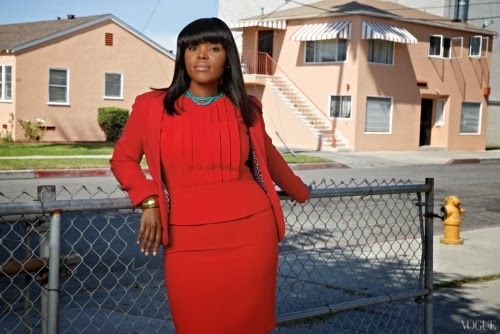 Mayor Aja Brown is the youngest person ever to be elected Mayor of Compton, CA. While 31 years old may not sound young to you now, just keep on living. She is breathing new life into a city that has a troubled past, but a bright future. This is Phillip Agnew and the Dream Defenders. 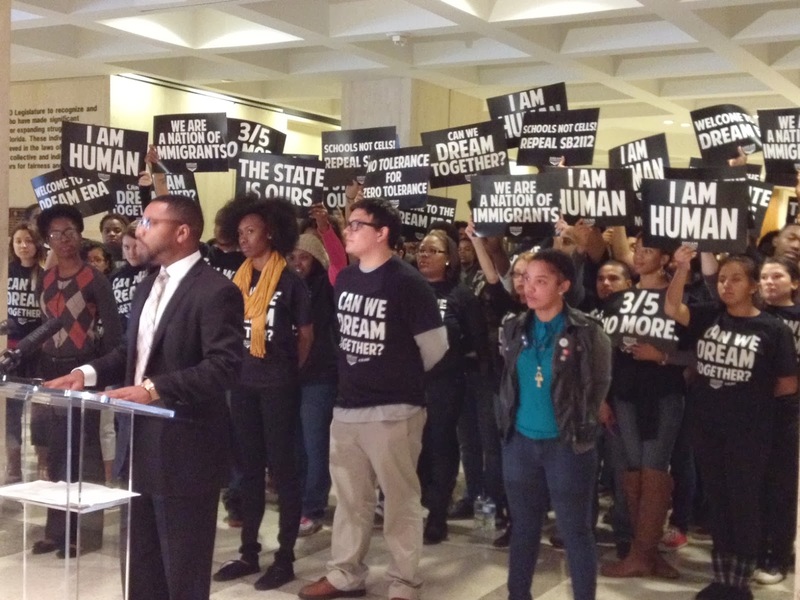 Agnew, an alum of my alma mater, Florida A&M University, and his multiethnic, multilingual group of young activists, most of whom are in college or younger, have recently been seen in the news taking their stand against modern-day Civil Rights issues. Keep in mind, young people have always been a part of great change in our country. 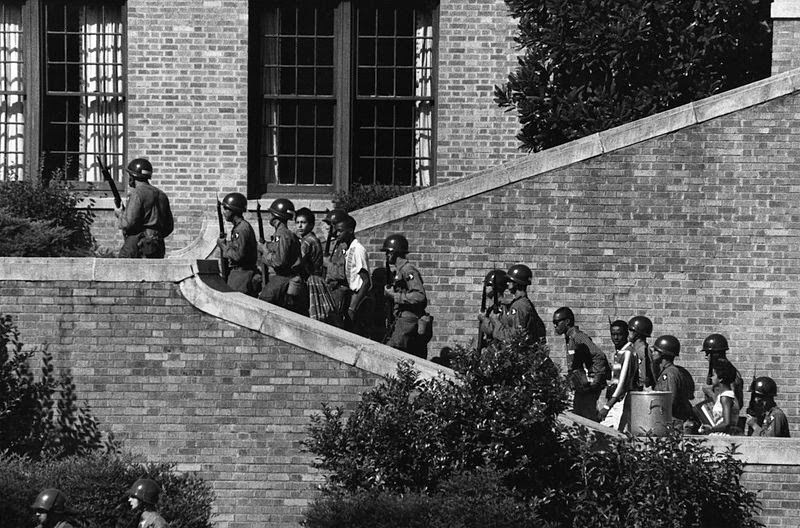 The high school students of the Little Rock Nine in Arkansas moved the country to rethink segregated schooling. 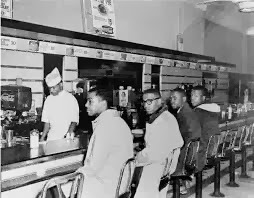 College students, not much older than you, made the brave choice to stage sit-ins at a Woolworth’s lunch counter in Greensboro, NC to push for equal treatment in public establishments. Though attacked, spit on, and antagonized by customers who wanted them to sit at the back of the restaurant, these students stood their ground and brought national attention to their cause. So what’s the difference between these young people and you? Nothing. They are and were everyday people who do extraordinary things. This makes me excited and hopeful because it means that we all have the capacity to be great. 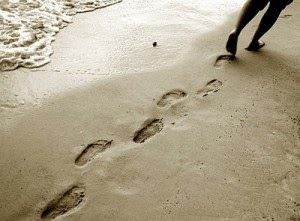 We all have the ability to leave our footprint on the world. You and your greatness will create our history. Everyday that you wake up, you have the possibility to create change. Small, local change can have ripple effects. For instance, Ameenah Matthews is a member of the Interrupters, a group of community activists, who use their former involvement in gang activity to reach out to young people in Chicago communities that are plagued by violence. We often hear of the despair of these communities, but rarely hear of the everyday heroes who put their greatness to work to improve the lives of others. Ameena Matthews’s small, local change has had a ripple effect that has gained national attention and notoriety. I've told y'all how I feel about Ameenah Matthews. So if you only take one big idea with you today, remember this: Black History Month is not all about old-time black and white pictures and what happened “back then.” While we honor our American forefathers and foremothers for their indelible marks on American History, I believe this month should be a celebration of you and your possibility to create a better, diverse, equitable, and inclusive world. 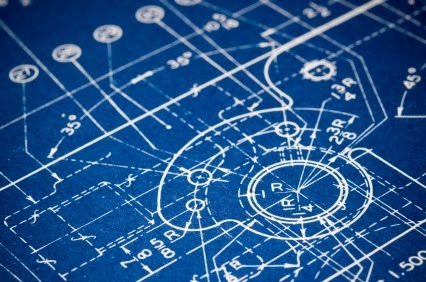 I emphasize the word possibility because it is up to you to tap into your gifts and use them. I almost brought a mirror today to hold it up to you all because I am looking at a room full of history makers. 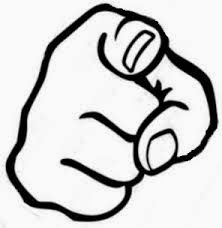 I've been showing slides of other people, but you are just as much a part of this presentation as they are. I'm excited about the power and potential that you all have to make great change. How will you change the course of the future? How will you work to fight against inequality? How will you help to build bridges across racial and cultural divides? How will you add to the legacy of outstanding African Americans who have paved the way for your success? Thank you for your time. I am humbled, and it has been an absolute pleasure to speak to you today, and I look forward to learning how you channeled your possibility to shape our world. Wow!!! I really truly wish someone did that for us in high school. The slides alone were very moving. I can only imagine what it was like to be in that room.